Isaac Layman's unnervingly banal color photographs of household items are astonishingly subtle in their perception-based tomfoolery. 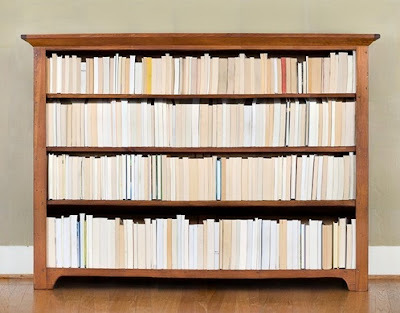 The Seattle artist's earliest work on view presents an almost-seamless image of a bookcase whose spines are turned away from the camera, so that the books become little more than nameless swathes of bound paper. 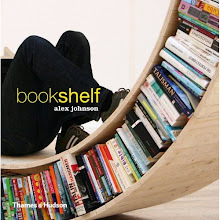 The viewer's impulse to scan the shelves for familiar titles is doubly thwarted when they notice that the photograph almost seems to shift its perspective, depending on where the viewer looks. Almost imperceptibly, Layman has combined photographs taken from different vantage points in creating Bookcase, resulting in a deceptive network of impossible sightlines.